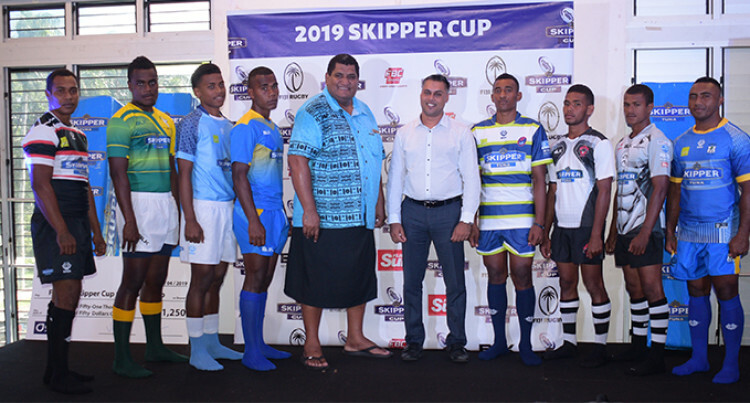 The Fiji Rugby Union received a sponsorship boost of more than $551,000 from the CJ Patel Group of Companies for the 2019 Skipper Cup which kicks start today. The competition will see eight teams – namely, Nadroga, Namosi, Naitasiri, Suva, Rewa, Nadi, the newly-promoted Tailevu and Northland – battle it out for provincial rugby supremacy. Speaking during the launch at Albert Park, Suva yesterday, FRU chief executive officer John O’Connor acknowledged CJ Patel for their continued support of the Skipper Cup. “CJ Patel’s more than $500,000 towards the operation of the Skipper Cup is a significant investment that includes club grants, playing kit provisions and ball supply,” O,Connor said. “I would like to thank CJ Patel Group for being by Fiji Rugby’s side when it comes to a competition that is the pinnacle for domestic rugby in this country. O’Connor also highlighted that each Union will receive a grant of $50,000 for their Senior and Under-19 teams. “It is another milestone year for the competition as the local players will compete throughout the season for a place in the Fiji Airways Flying Fijians squad for the World Cup in Japan as well as the Fiji Airways Fijians Drua squad. CJ Patel (Pacific) Limited group marketing manager Ashwin Prasad said: “Today’s (yesterday’s) launch marks the 6th year of the Skipper Cup competition and it has truly been an incredible journey. “CJ Patel is committed to developing and improving standards and identifying and the raw talent that provincial level needs. The Skipper Cup Championship features both a senior and Under-19s divisions. The FRU’s Women’s Championship will feature as a curtain-raiser to the senior men’s matches. The women’s competition will expand to 15-a-side in 2019 from 10-a-side last year. The senior men’s winner in will be awarded $30,000 with the runner up will receive $15,000. Today’s match will see Naitasiri taking on Namosi at Ratu Cakobau Park, Nausori.2nd June this year.